The laboratory infrastructure is divided into two parts, one catering to computational work and the other to wet lab work. The computational biology research is done in SERC (Room 319) where students, interns and post-docs entirely devoted to computational work sit. 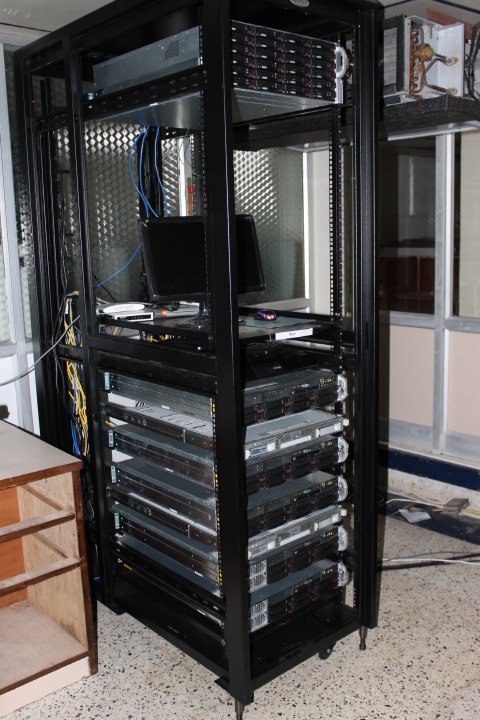 The main computing servers of the lab are located in the common facility housed at SERC (Room 326). 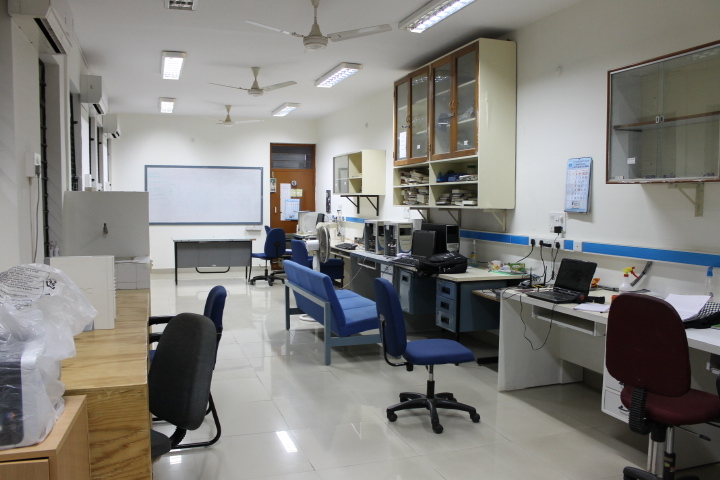 The students involved in wet lab work or a mix of wet lab and computational work sit in the laboratory rooms located in the Old CES building situated behind SERC. The wet labs here are dust free (also known as clean air room). 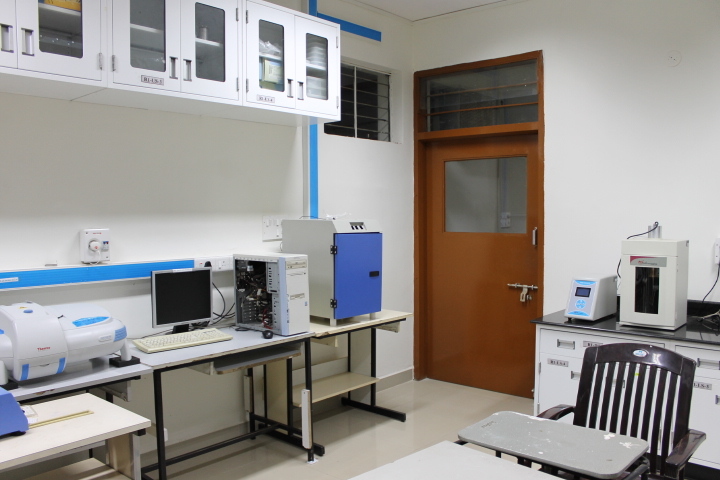 Each entrance to the lab is fixed with a air curtain and air blowers with HEPA filters are installed to create a dust free positive pressure environment. This is essential to maintain cleanliness in sample preparation required from Omics studies. The wet lab is one large room partitioned into three parts: Room 1, Room 2 and Room 3. 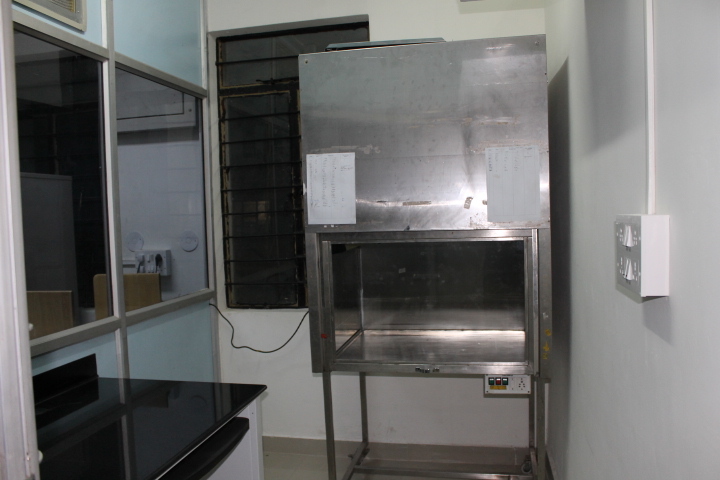 There is a specially partitioned room within Room 3 for experimental work in Laminar Hood. All the three rooms are airconditioned. 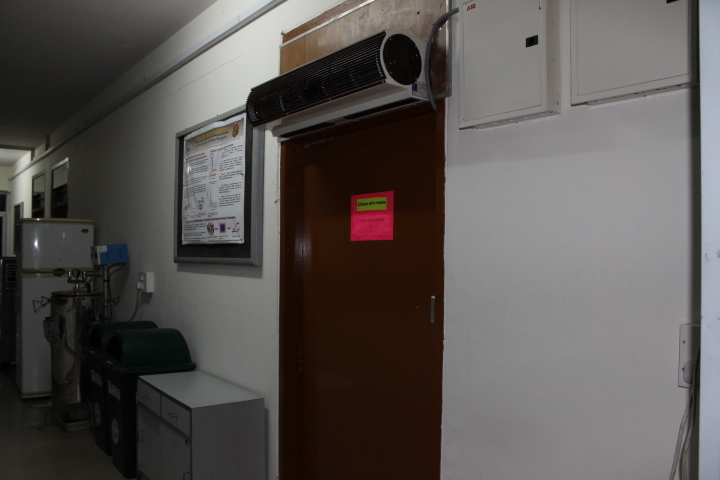 A separate Room 4, is used to house other essentials like water distillation facility, ice machine etc. This room is not airconditioned. 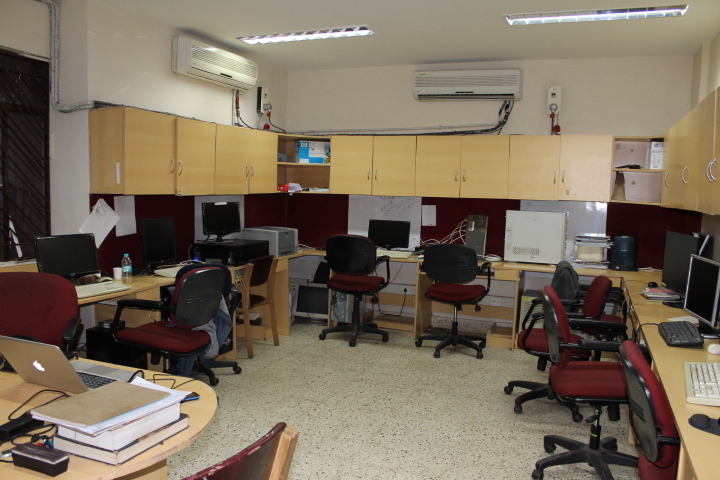 There is a separate Room 5 for student/intern/post-doc sitting and working with Laptops/Desktops etc. 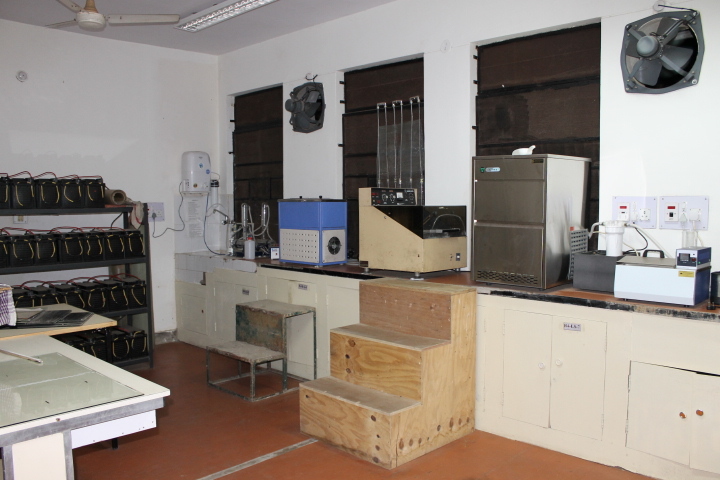 The laboratory has basic facilities for sample preparation and some analysis. 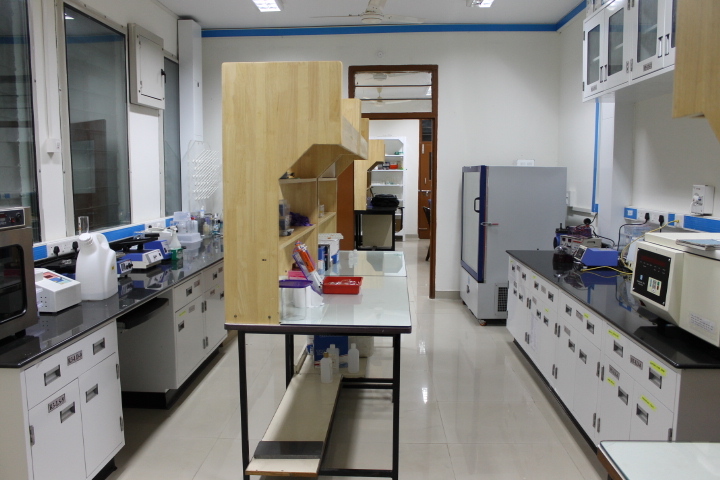 For sophisticated experiments such as using mass spectrometry etc., we use departmental or central facilities, or access labs within IISc that may have those facilities. 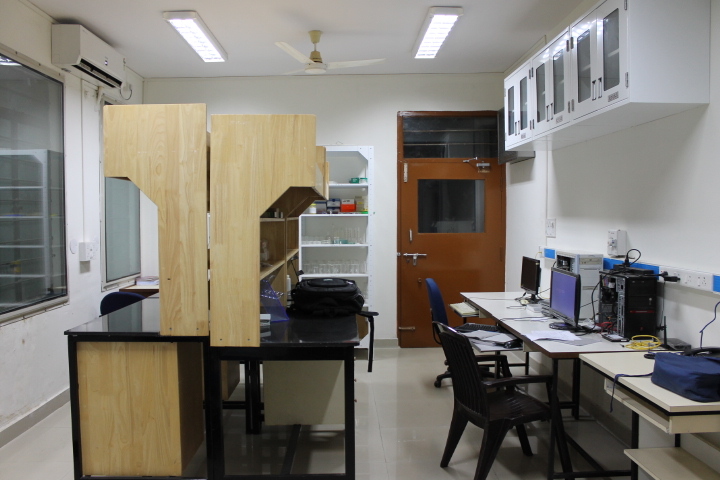 All labs have Wifi and are also connected to internet with uninterrupted power backup to cater to power failure situations.